← Today is a humor day in Ukraine and even weather is jocking today: Hail in spring! Eggs make my first choice, when it goes about cooking something fast. They make great breakfast, too. Here is a simple scrambled eggs recipe with ramson. Ramson is the first natural and organic green, we get in Ukraine. It grows wild in the woods. People gather and sell it on the market. It is a special type of onion with the garlic flavor. Very peculiar. Separate the yolks from the egg white. Beat the yolks with the flour untill they turn white in color. Beat the egg white with the salt to form a foam. Then, gently add the egg white foam into the yolks with flour. Heat up the pan well, put a generous slice of butter and fry your scrambled eggs on it. Or, you may heat up the oven well and place eggs there to get cooked. You may chop some ramson and add into the scrambled eggs. I just served the eggs with it and added some chopped ramson into sour cabbage. So, it’s a really simple and healthy scrambled eggs recipe with ramson. Such a spring kind of breakfast. 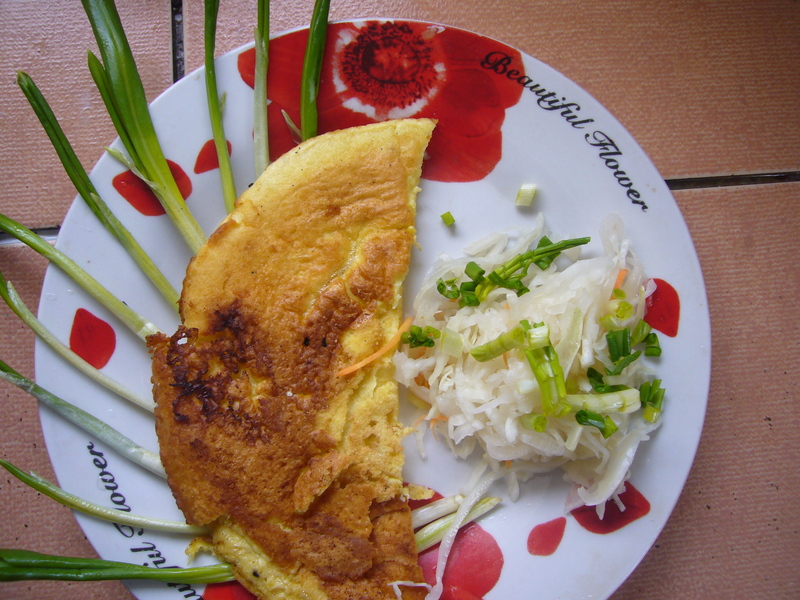 This entry was posted in Easy Recipes and tagged breakfast, breakfast recipe, busy mom, busy moms, cooking, cooking tips, easy cooking, easy recipe, eggs, food, healthy breakfast, quick recipe, quick snack for kids, ramson, scrambled eggs, scrambled eggs recipe, tips for moms. Bookmark the permalink.